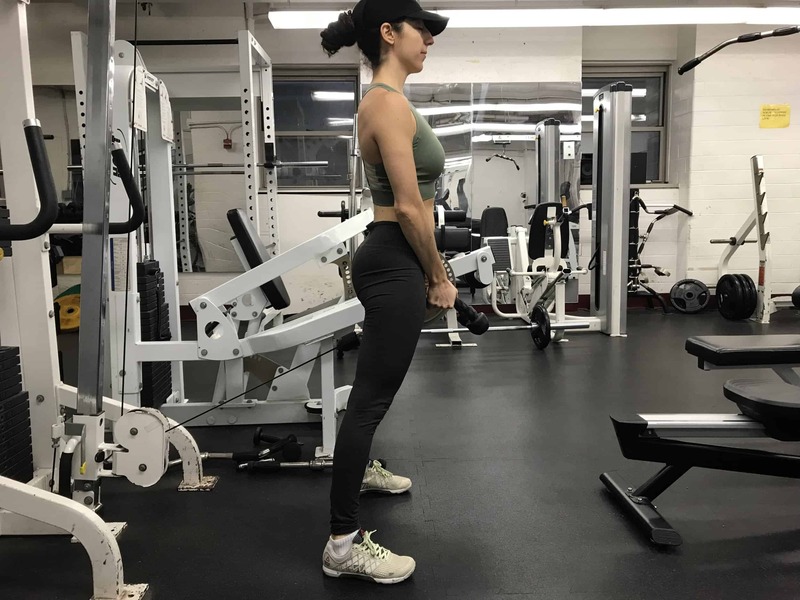 The cable pull-through is a great compound exercise that trains the powerful muscles of the posterior chain which includes the hamstrings, the glutes, and the low back. It is considered to be a great introductory variation to the deadlift, and a formidable builder of the legs all by itself. In order to perform the cable pull-through, you will need a cable pulley machine that has an adjustable height. Begin the movement by bending at the waist and pushing your hips back towards the machine. Do not allow any motion to come from your spine. Can I Do Cable Pull-Through With A Band? Yes, the pull-through can be performed with a band. Just tie a resistance band to a sturdy structure and perform the exercise the same way as described above. The band will accommodate the resistance throughout the movement; i.e, there will be less stretch on the band at the bottom of the exercise, and more at the top. Can I Do Cable Pull-Throughs Without The Machine? Yes, you can do this exercise with a band as described above. Or you can select one of the alternative exercises listed below. They will all train the same muscle groups through hip extension. Which Exercise is Better? Cable Pull-Through Vs. Hip Thrust? Both exercises are great for glute development, however, the hip thrust targets the hamstring muscles more. With that said, you will be able to lift a lot more weight with the hip thrust. Bret Contreras has popularized the weighted hip thrust exercise. The Cable Pull-Through Hurts My Lower Back. What Do I Do? This is likely due to improper technique. You must focus on bending at the waist and not at the spine. Your spine should remain in a neutral position without changing its angle throughout the exercise. All of the tension should be felt in the hamstrings and glutes. If this exercise still hurts, then use one of the alternatives below. Whats An Ideal Cable Pull-Through Weight? How Can I Integrate The Cable Pull-Through In My Training? Check out The WCT Best Workout Template For Busy Professionals to find a simple way to add the cable pull-through and other great exercises into your routine. Did you like this tutorial? Be sure to check out our entire library of other exercises tutorials to find more.